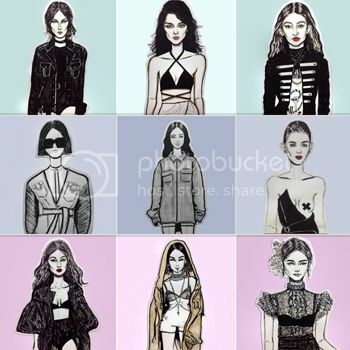 Say Tioco Artillero is a full-time YouTube content creator (beauty and lifestyle vlogs) from the Philippines. She recently went to Japan and participated as one of the judges at the Beauty Bound Asia. She produces makeup tutorials, shopping hauls, product reviews, and the like. Yuki Tansengco is a social entrepreneur, I Am Meg Season 2 finalist and a fashion blogger. She recently launched her own vlogging channel on YouTube. 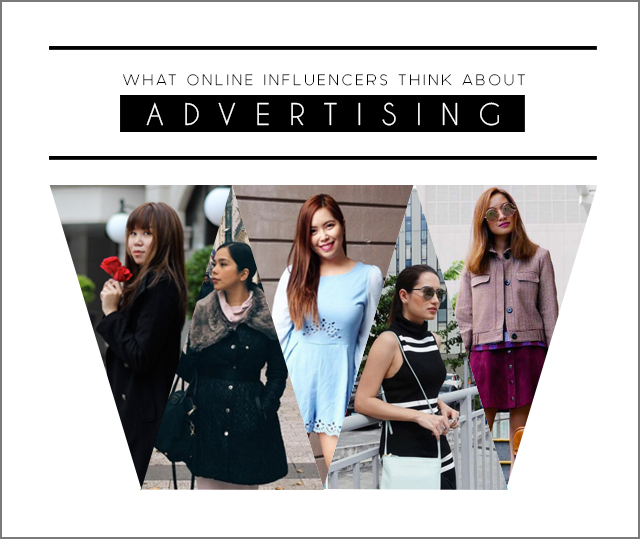 Laureen Uy is a fashion and travel blogger and vlogger from the Philippines. 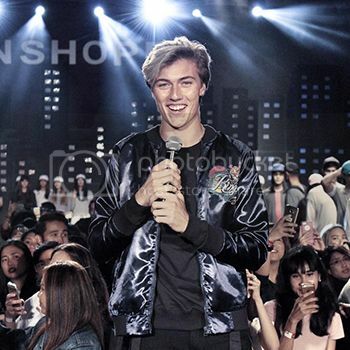 Nicole Andersson is a life, style & fashion blogger and host from the Philippines. She is releasing her own vlogging channel soon. 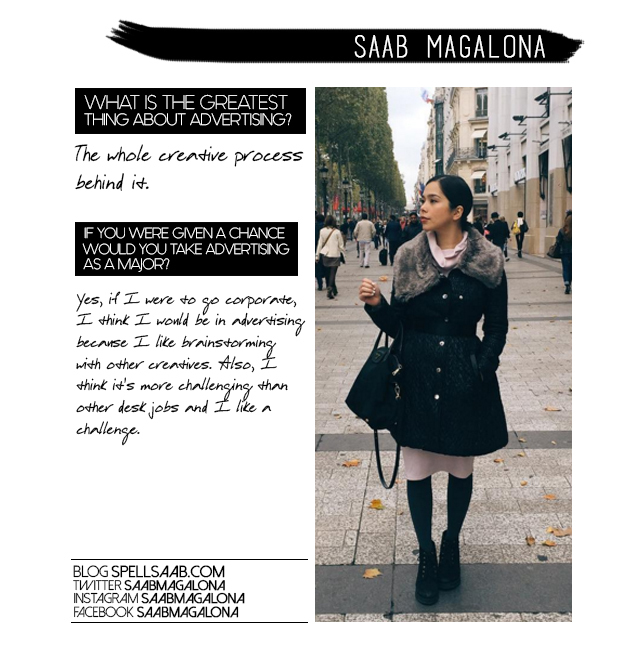 Saab Magalona doesn't need an introduction but she surely is one of the coolest online influencers here in the Philippines. 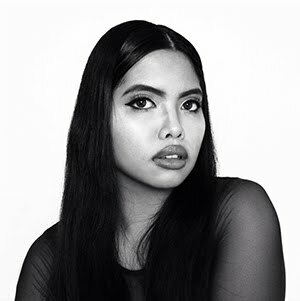 Her band Cheats will perform at the Laneway Festival this coming January 2016! If you are reading this blog entry and you’re still in high school clueless about what course to take, consider taking advertising as your major because it will not only expand your knowledge about the arts and advertising but it will also definitely open many opportunities. Good luck!